MG Car Club > Motorsport > Motorsport News > Two weeks to the closing date for Oulton Park 2018! Two weeks to the closing date for Oulton Park 2018! Competitors have just two weeks to get entries in for the MG Car Club’s penultimate race meeting at Oulton Park on Saturday 1st September. CLICK HERE to download the entry form and regulations. The race meeting will feature a full schedule of the MGCC’s championships and series, as well as a special one-off race – The British Motor Heritage North West 100! This is a two-part 100 mile race, made up of two 50 mile races with a refuelling break between them. There will also be a second race for the MGFs and TFs after a fantastic race at MGLive! in June. British Motor Heritage North West 100 – CLICK HERE to find out how you can enter this race! As always, the paddock will be open all day, allowing spectators a chance to meet the teams and drivers! The draft timetable for the day will be uploaded as soon as it is available. The entry form, and other competitor information for the meeting, can be found HERE. There is a test day at Oulton Park on Friday 31st August. For more information, please click HERE. Spectator tickets for this meeting can be purchased from £12 in advance. 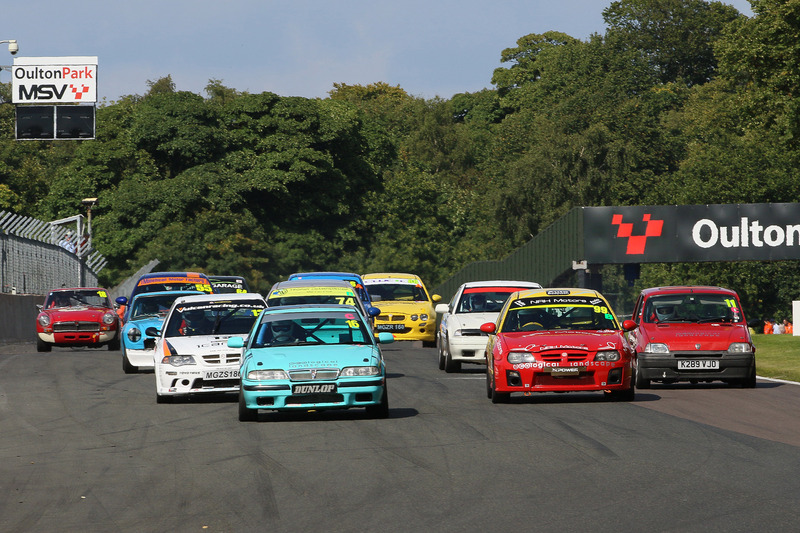 To book, and for more information about Oulton Park, please CLICK HERE. Advance booking closes 12:00 Wednesday 29 August.